Old woman catching fish Water puppet featuring an old vietnamese woman with her bamboo fish catcher. She can move his arms to lift the basket up and down. 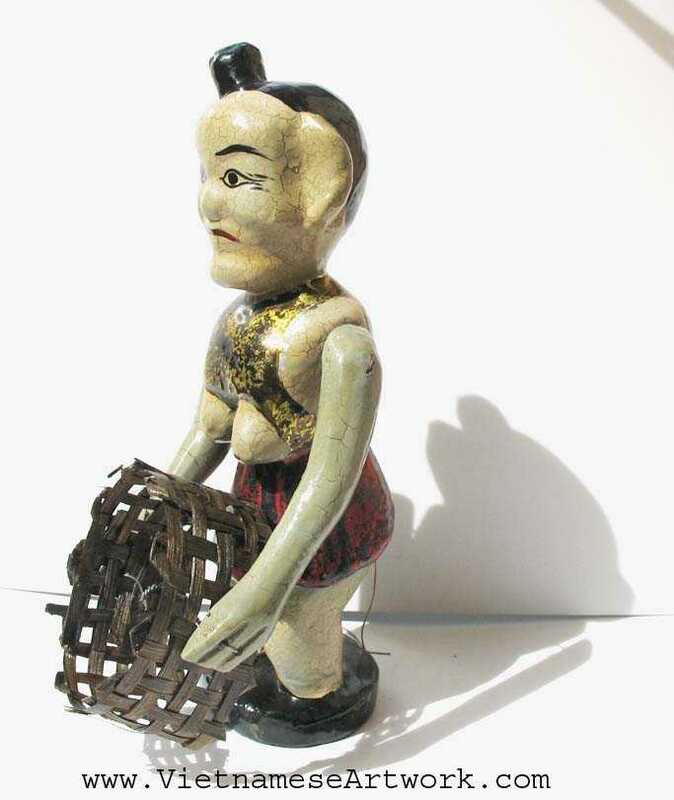 The puppet is made with wood in antique style!